Radio Free Asia(RFA) reports a former official of the International Atomic Energy Agency(IAEA) has said that it's possible North Korea could own a miniaturized nuclear warhead that can be loaded on an intercontinental ballistic missile(ICBM). 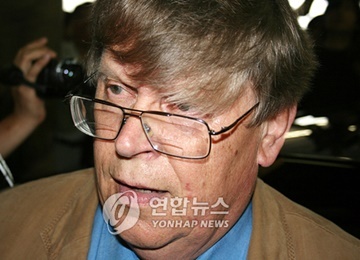 Olli Heinonen, former Deputy Director General of the IAEA, told RFA that ten years have passed since North Korea conducted its first nuclear test in 2006. He said that considering the North's technology and manpower, it's possible the regime has a considerably sophisticated and miniaturized nuclear warhead under 500 kilograms that can be loaded on an ICBM. He said that Pyongyang has produced plutonium from the 1980s before its first nuclear test and its nuclear program is a key state project involving superb talent and resources. Heinonen said that actual ICBM deployment in the North will take at least one to two years and if the regime carries outs its sixth nuclear test in the near future, it will be more of a political move than aimed at improving missile technology. He said now is the last opportunity for negotiations on the North's nuclear issue, and called for starting negotiations employing both "incentives and restrictions."